A few weeks ago I got an email from a friend named Kris. I was in Dublin at the time so the email arrived at 2:00AM or so. 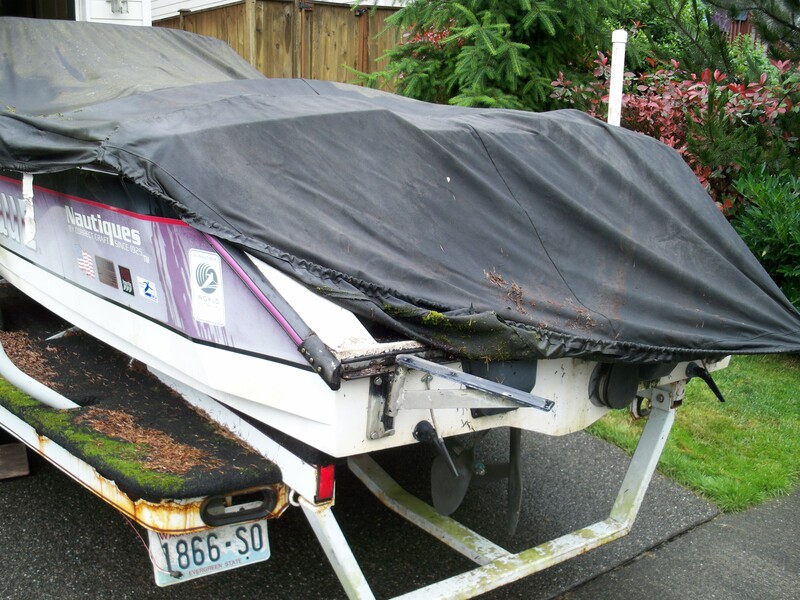 When I got up and checked my computer the email said something like, “There is an engine from 1993 Ski Nautique in Kirkland! Go to the site!” I met Kris on http://www.correctcraftfan.com/. So I went to the site and buried in one of the forums there was a note from somebody who said he had an engine and was looking for a buyer. I quickly emailed the guy (Bruce) and got a response within a day or so. 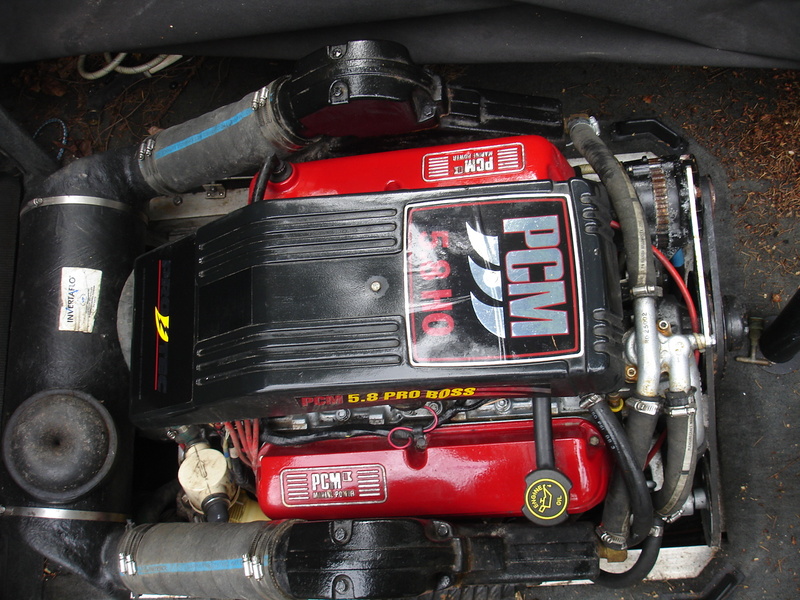 PCM Ford 351 HO engine! I went over and looked at the boat a few days after I returned from Dublin. As advertised, the boat was toast. 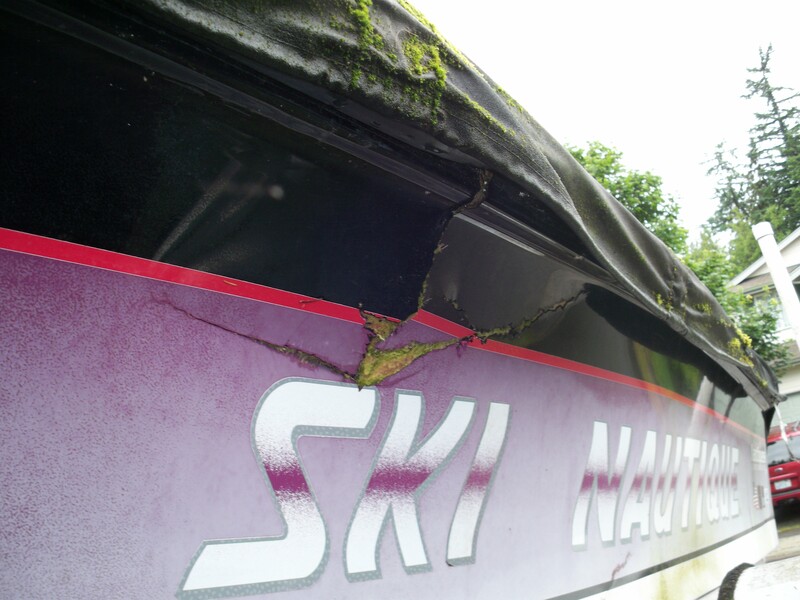 The hull was smashed (beyond what I would want to repair anyhow). It also turned out that Bruce was ready for the boat to be gone. He asked me if I needed other parts, which I do. 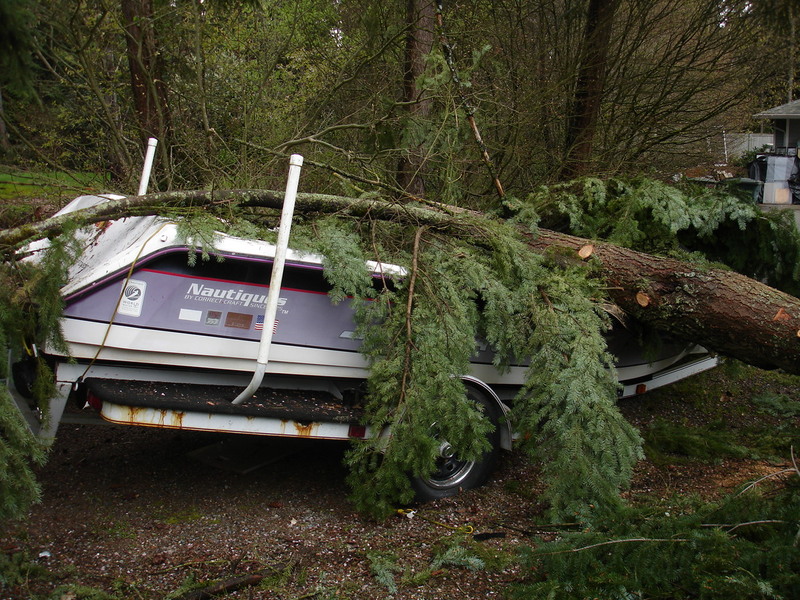 Bruce had some parts that he wanted from the boat, but the majority of it he did not need. So, he agreed to sell me the boat, with the agreement that he could keep a few parts. 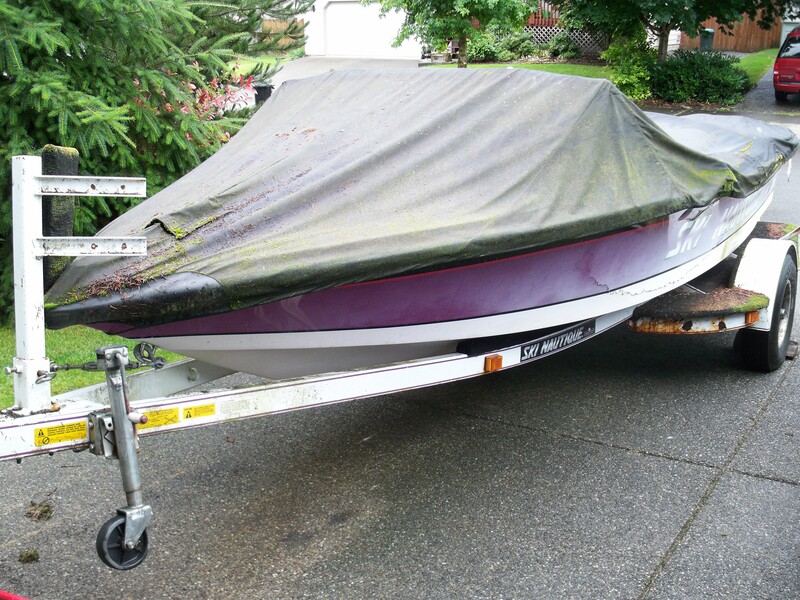 Today, I had a flat-bed truck driver pick up the boat and had it delivered to my house. The engine – and all the other little parts I need, are mine! 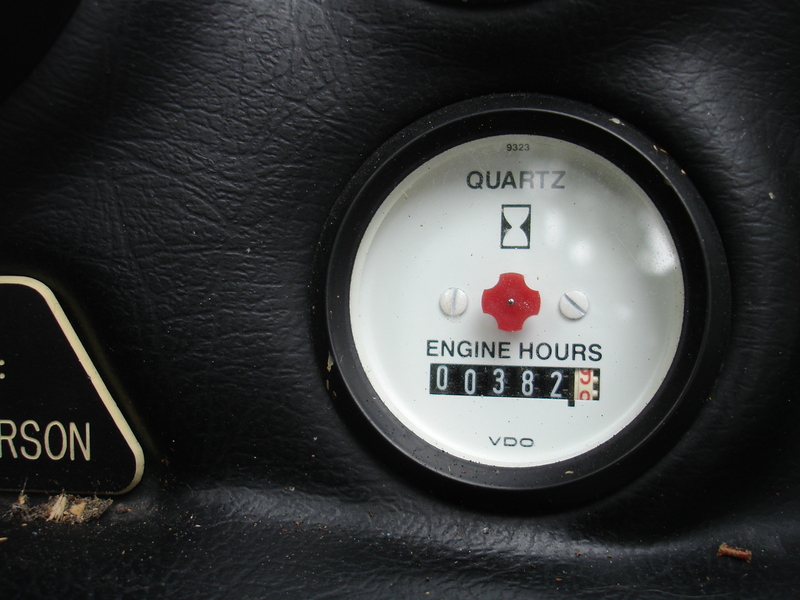 I’m very excited, and I have a lot of work in front of me to pull the parts I need, sell what I don’t need, and then – pull the engine… I’m sure that will be a blog post all on its own. I would not say that Susie is very convinced. “Barely tolerant” might be a better way to put it! I have a very patient and loving wife. 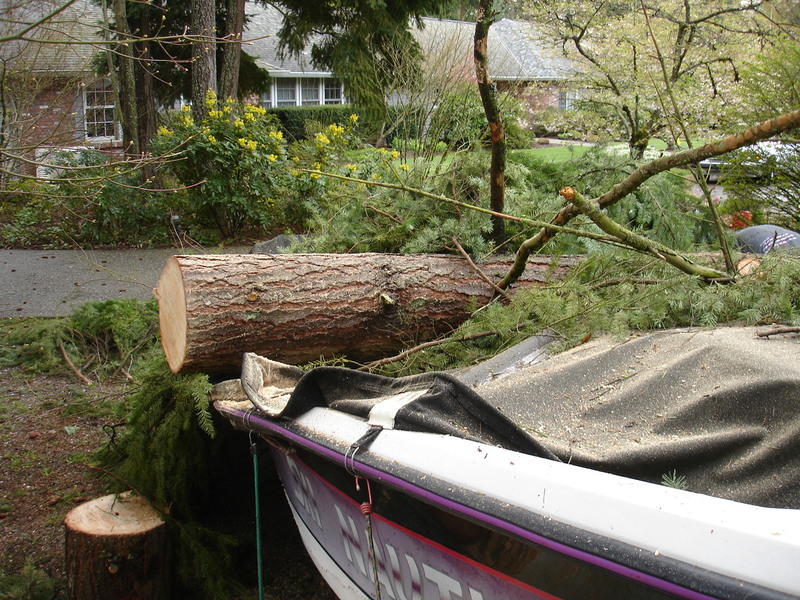 It is now my job to strip this boat as quickly as possible and get it out our our driveway. I know it’s a Ford but congratulations any way. I just realized something funny. The color scheme of the parts boat is the same as the picture at the top of my blog. Just think you have combined two of my favorite things, logging and skiing. In my mind the two never really mixed either.